Accommodates RX-29 and RX-30 Ro-Tap® sieve shakers. 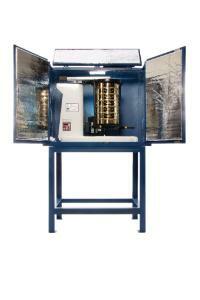 Accessory test stand is specifically designed for the RX-29, RX-30 Ro-Tap® Sieve Shakers. Sturdy aluminum construction with anchor brackets included for fastening to floor or foundation. Installs simply and quickly. 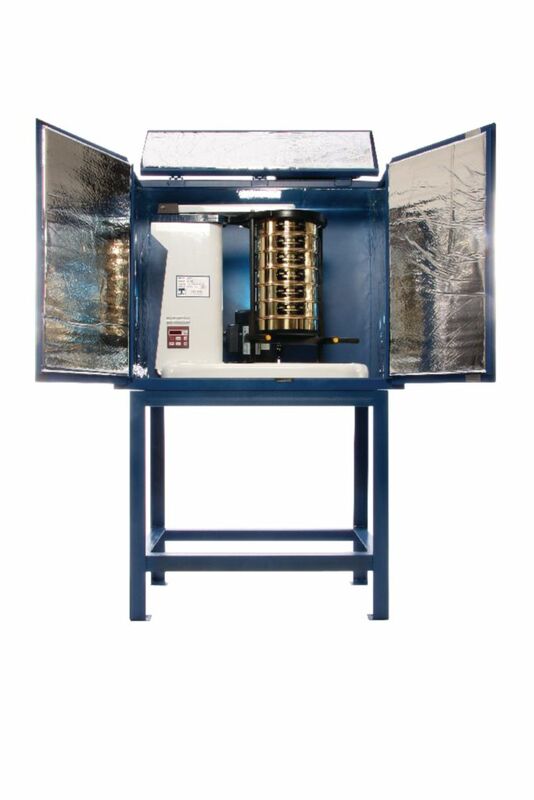 Optimizes laboratory space dedicated for test sieving. Stand can be used with or without the RO-Tap Sound Enclosure Cabinet. Sound Enclosure is constructed from 18-gauge steel and covered inside with a 2.54 cm (1") metal-faced acoustic foam liner. Readings were reduced from approximately 85dBA to 78dBA. Ordering information: Enclosure and test stand are sold separately.